Anonymous, 01 Jan 1970Tanmay, not sure about Delhi, but if you're around Noida, then this phone is readily available at most of the dealers at Savitri Market (Sector 18). I've seen it for sale at around 12K-13K, with some cheap add-on accessories for free, like screen guards. In Delhi, you could try Gaffar Market, Lajpat Nagar, or Nehru Place. chetan, 11 Jul 2008thanks prashant. 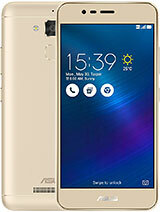 i mean 2 say asus p320 is user friendly phone? and what is the vedio recordin... moreHi Chetan, Having stayed in the Motorola & Nokia world for many years, it did take me a few days to get completely used to the WinMo phones, but now I just love it! WM6 is obviously much more user-friendly than WM2003, which was my previous attempt to switch from my Motorola RAZR a couple of years ago. It did not meet my needs at that time, and I ended switching to the Nokia 9500 Communicator instead. However, the new WinMo phones now are just at par with, if not better than, any of the popular models by the big brands! As for the video recording resolution, I can't remember for the P320, but for the P527, I have a choice of 160x120 and 80x60 modes. Prashant, 11 Jul 2008Hi Chetan, I would say that the newer WinMo phones (like the ASUS and HTC ones) are definitely... morethanks prashant. 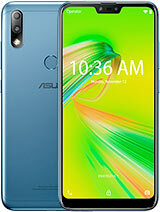 i mean 2 say asus p320 is user friendly phone? and what is the vedio recording resolution? 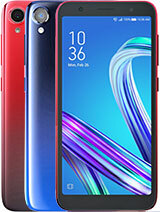 Hi prashant which part of india r u 4m, nd i hav a ques, how is this phone 4 internet browsing, how is this phone as a music device, what is its actual cost, its rs 11900 inr in chennai. I think the phone works really well at its class. Of course there are more powerful PDA phones out there but for its price, I think its great! I have one myself, bought it 3 days ago. Its working smoothly so far. GPS can be a little slow but I am not sure if its the GPS software issue or if its due to the lower hardware specs. But its still usable! All in all, I'd give it a 9/10! chetan, 10 Jul 2008can u tell me about asus p320 its stable phone?and user free 2 used?tell me about gps function... moreHi Chetan, I would say that the newer WinMo phones (like the ASUS and HTC ones) are definitely very stable, especially when compared to the models released 2-3 years ago. The trouble starts when people start loading a lot of 3rd-party software, because not all of it is tested very well. I'm not sure what you mean by the question "and user free 2 used?". As for the GPS functionality, I have already posted a few comments earlier in this thread - please check them out. Tanmay, 08 Jul 2008thanx for the reply prashant..... im really interested in buying the phone.... but i really ... moreHi Tanmay, I thought I had posted a reply to your VOIP question, but don't see on the board, so replying again: I am alreay using Skype on my P527 regularly, and the voice quality is pretty good over WiFi. I do get an echo every once in a while, but I guess that's expected. I did not get a chance to try VOIP on the P320, but I would expect similar results on that model too. Prashant, 10 Jul 2008The internal GPS chip in the P320 will receive GPS signals from the satellites without any add... moreThanks man, so does is come with the Navigation map in Malaysia? Does any 1 from Malaysia know? Prashant, 08 Jul 2008Tanmay, I wouldn't really call the WiFi on the HTC Touch pathetic - I've used the newer 3452 m... morecan u tell me about asus p320 its stable phone?and user free 2 used?tell me about gps function of this phone? yeh_chiam, 10 Jul 2008Hei Guys, how does the GPS work on this ASUS P320? Do it charge for any streaming when i on it... moreHi. 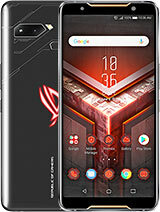 I am looking into getting this phone. I believe that you have to buy the map for the area you want and keep the file on the SD card. Then it is free to use. The shop I am looking at includes one map with the purchase price of the phone. yeh_chiam, 10 Jul 2008Hei Guys, how does the GPS work on this ASUS P320? Do it charge for any streaming when i on it... moreThe internal GPS chip in the P320 will receive GPS signals from the satellites without any additional charges to you. But as far as I know, the P320 does not come with a navigation software in India (my P527 came with the SayGuide package over here). So, if you do buy a subscription based software for this purpose, you may have to pay them for streaming maps via GPRS. 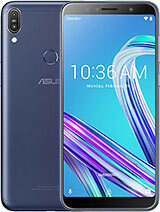 Hei Guys, how does the GPS work on this ASUS P320? Do it charge for any streaming when i on it? It's that totally free? hakim, 09 Jul 2008well how to copy contacts from sim to this phone i have purchased and tired to copy contacts f... moreDidn't try this on the P320, but on my P527, copying contacts using the SIM card seemed like one huge project. The phone did not include a SIM Manager like the one I had seen on the HTC Touch. The only way to do so was to open a single SIM contact, copy it to the phone memory, and then save it - this would obviously take forver to do the same for all the contacts. If your old phone has Bluetooth, a much simpler solution is to Beam the contacts from your old phone to the new one! Tanmay, 08 Jul 2008thanx for the reply prashant..... im really interested in buying the phone.... but i really ... moreHi Tanmay, I'm already using Skype on my P527, and the response is actually pretty good for most of the calls. Every now and then, I do get some echo, but I guess that might be expected. Even though I did not get a chance to test it on any other handset, I think the results for the P320 should be similar. Tanmay , 08 Jul 2008and prashant.. have u used the wifi on ur device???? please comment on its performance.... ... moreTanmay, I wouldn't really call the WiFi on the HTC Touch pathetic - I've used the newer 3452 model for about a week, and found the WiFi to be pretty decent. 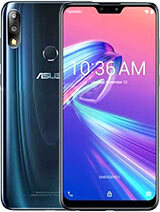 As for the ASUS phones, I do find the WiFi to be a little more stable. I also use the GPRS/EDGE connectivity, and find it to be reasonably fast for most purposes, like browsing some quick sites, getting emails, and downloading maps while using GPS services like Google Maps or Live Search.